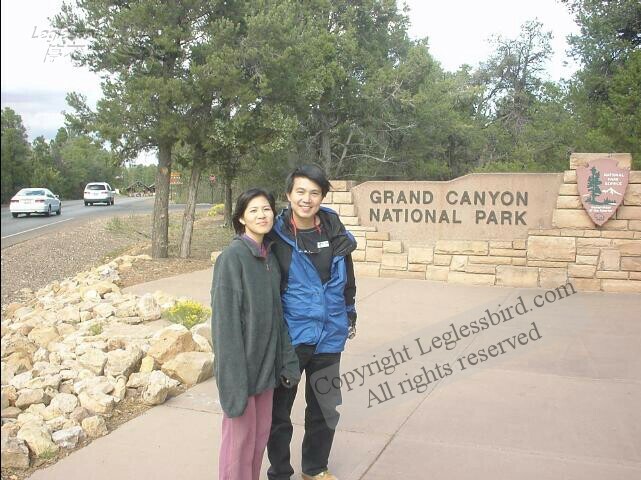 World Heritage(Sept 2002) We flew from Las Vegas on a 6-seater plane to Grand Canyon. On our way to the Grand Canyon, we saw the enromous Hoover Dam. It took approximately one and a half hour to reach Grand Canyon national park. It is truely magnificent, we wish we could spend more time there to appreciate its natural beauty. There are plenty of choices for tours from Las Vegas to Grand Canyon, they range from Air-tour only to different combinations of air/river/ground tours. You can find the details of operators and tours that they offer in most local magazines. The cost varies from ~US$100-400 per person (Sept 2002). This is a 1300 miles drive. You may choose to go to Las Vegas from Zion, instead of going back to Salt Lake City.